To call 2 Chainz a newcomer would be incorrect. Formerly known as Tity Boi, a member of moderately successful Disturbing Tha Peace group Playaz Circle, 2 Chainz has begun carving out a promising solo career. Visually striking with his 6'5 frame, long braids and large glasses dominating his face, the Atlanta MC made a memorable appearance on the Uncut BET Cypher. Extracting some sense out of this leads us to conclude that the rapper is still contractually obliged to DTP under his Tity Boi moniker, therefore cannot fully renounce the name until he has fulfilled his obligations. 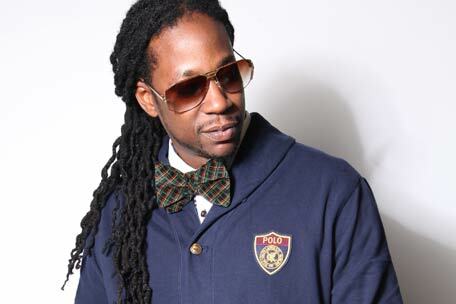 He is not contracted to Def Jam as a solo artist, however, so currently remains independent under his 2 Chainz alias. After a series of mildly popular mixtapes established Chainz as a rejuvenated voice, the rapper found his first major success with the release of T.R.U REALigion. The tape features newcomers and old faces alike, Big Sean, Meek Mill and Kreayshawn being joined by veterans such as Raekwon, T.I. and Young Jeezy. The free project has amassed over 100,000 downloads on Datpiff.com. "I'm the new kid at school... The new kid come to the school, know how to dress a little bit, know how to talk a little game... I done been around, but I transferred." Currently promoting the T.R.U mixtape, 2 Chainz knows there is a lot of work to do before he achieves mainstream success (for example, he does not yet even have his own Wikipedia page). A continued focus, however, will almost certainly guarantee him a fruitful 2012. In an industry that is currently crying out for more substance, 2 Chainz is notable for going against the grain. When the music is this fun, however, it doesn't really seem to matter.